This was my original running grounds. Before starting to train for a half marathon, I wasn’t running much longer 3-5 mile runs, and the main rekevet route is perfect for this distance. 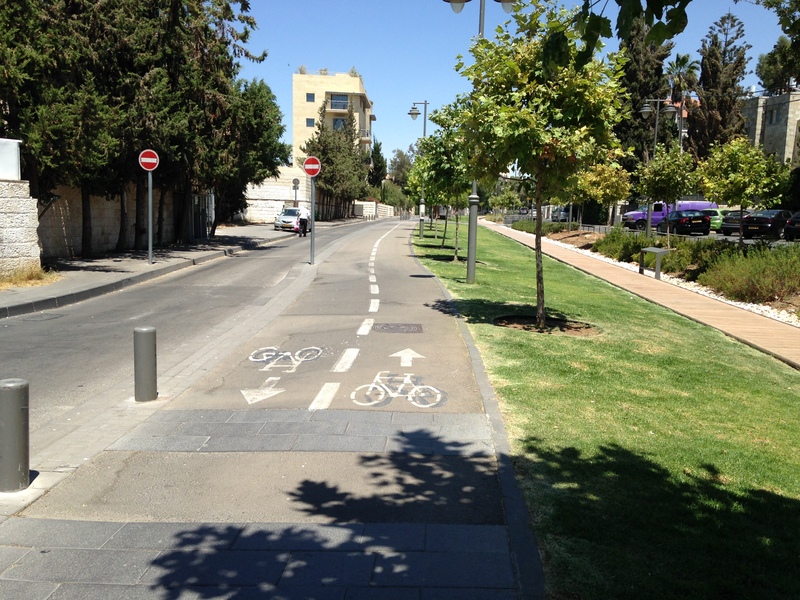 The ‘rekevet’ refers to a tracks-to-trails path (ie, former train track, now a pedestrian and bike path). 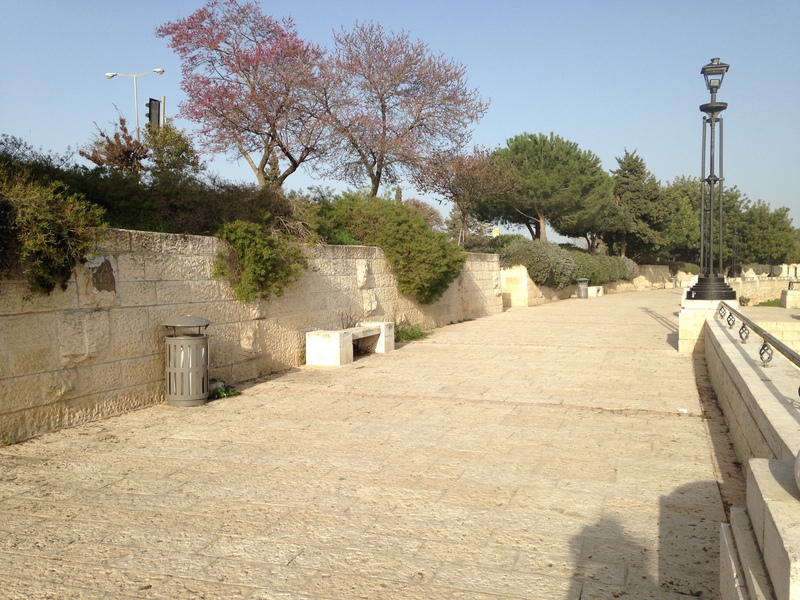 The north end of the rekevet starts near the Tahana Rishona where Emek Refaim and Derech Beit Lechem meet. 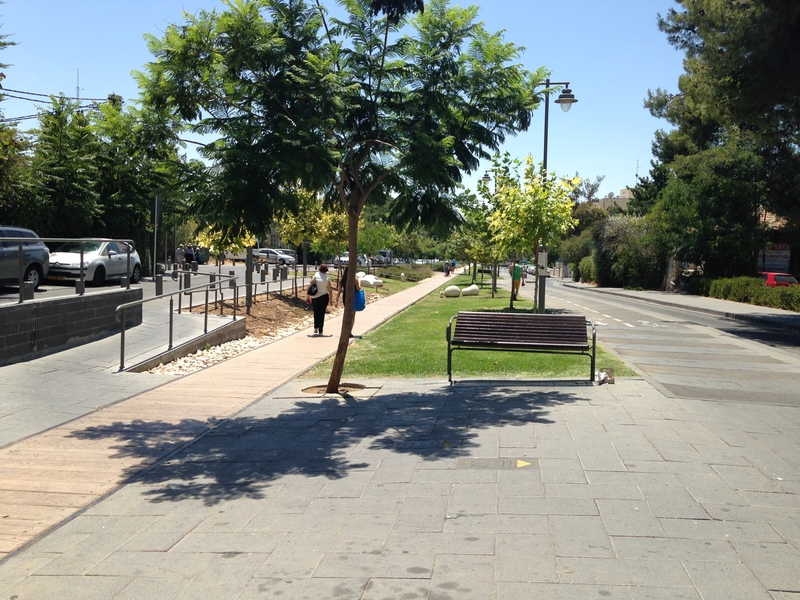 From the Tahana, you have about a 1/2 mile of pathway until you get to an intersection with Derech Beit Lechem. 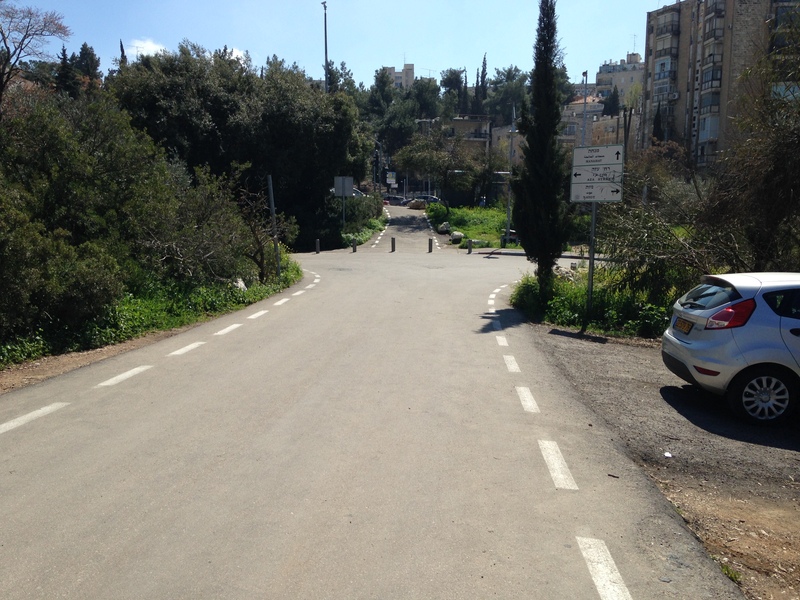 From there, the rekevet path continues for another 1/2 mile until it reaches an intersection with Pierre Koenig. 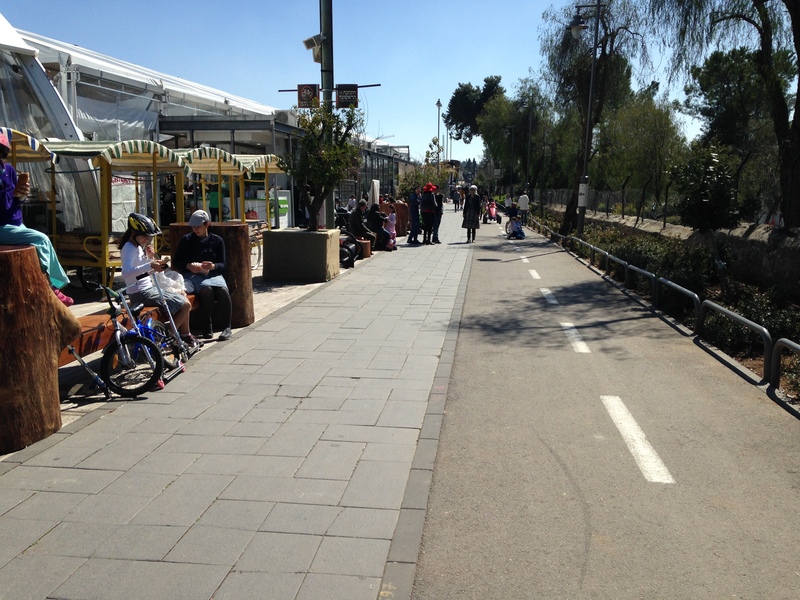 This part of the path will take you near Teddy Stadium, Malcha Mall, and the Jerusalem Biblical Zoo. If you’re into trail running, you can even keep going onto the dirt path at the end of the paved trail. 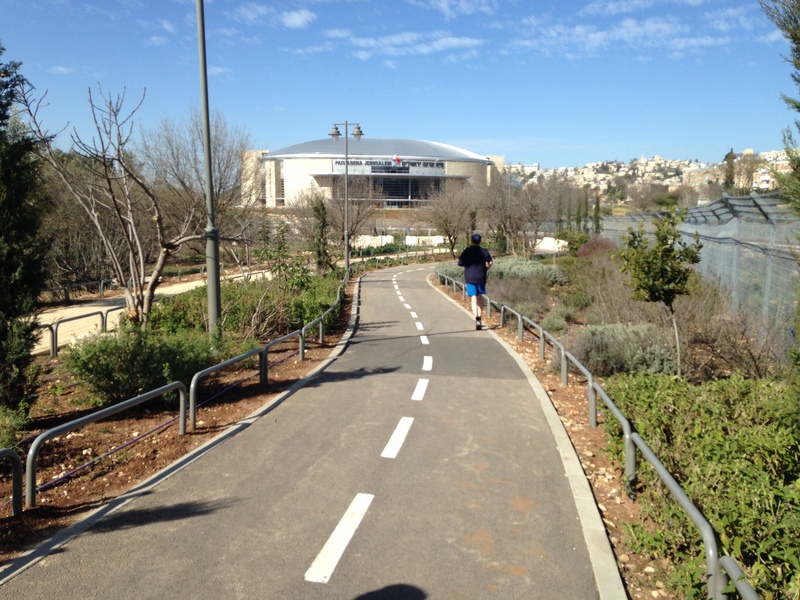 In my opinion, this rekevet pathway is definitely the best running resource in Jerusalem, and if you have a chance I highly suggest going for a jog on it! 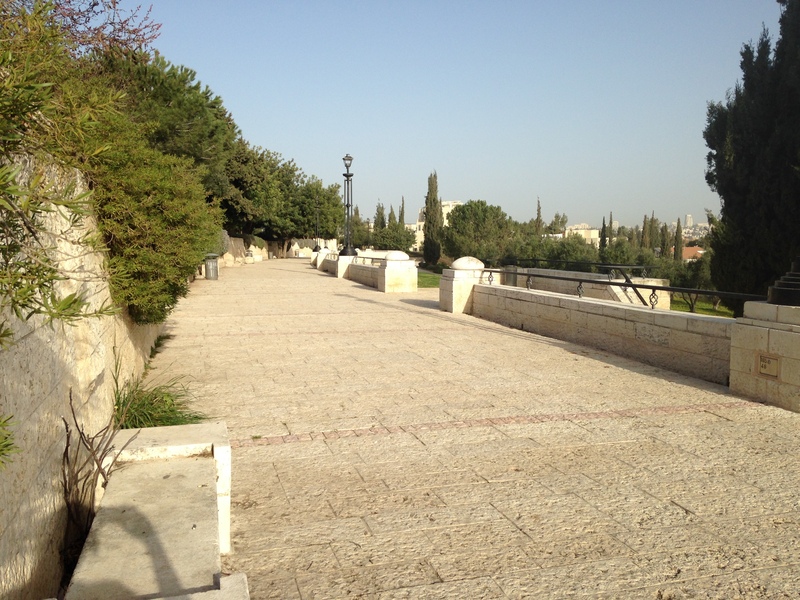 The Tayelet pathway looking out over Jerusalem only lasts about a half mile, but it then continues on a paved pathway through a park and snaking around a UN building. That pathway goes another half mile or so (perhaps a bit further) and deposits at a lookout observation point. It’s a bit short on distance to compromise an entire run, but it could be combined with some running on the rekevet for a slightly longer run (they are relatively close to one another). 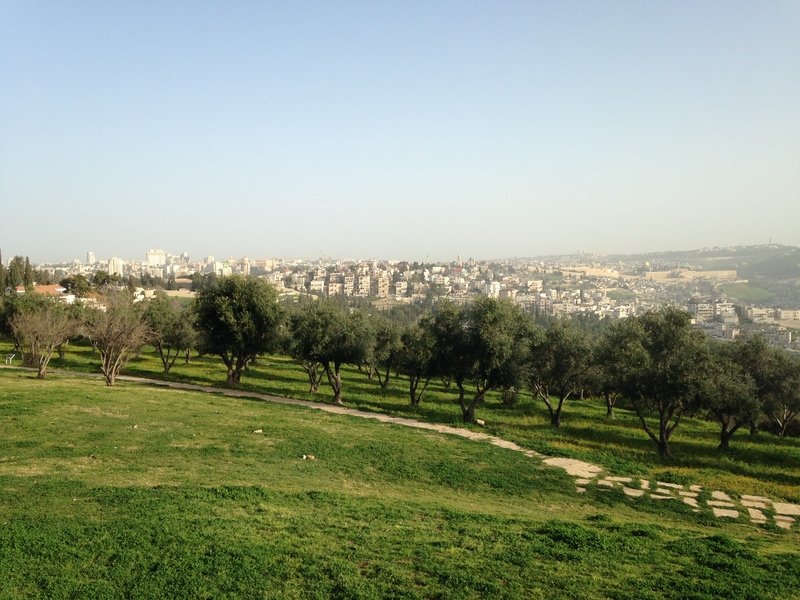 The Tayelet alone would also be an ideal spot for a nice walk (Shabbos walk, anyone??). 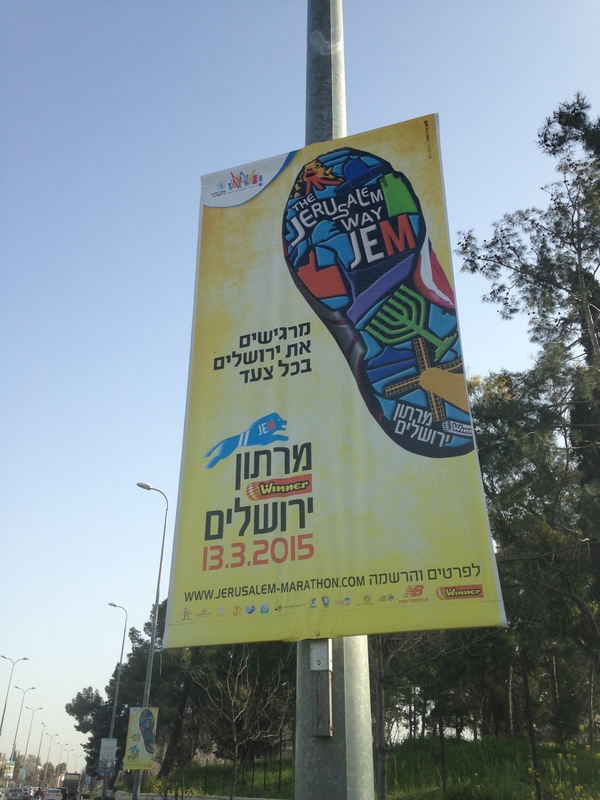 And there you have it…my main running suggestions in Jerusalem. Of course, there is also some decent running to be had on the sidewalks along main roads and residential neighborhoods. 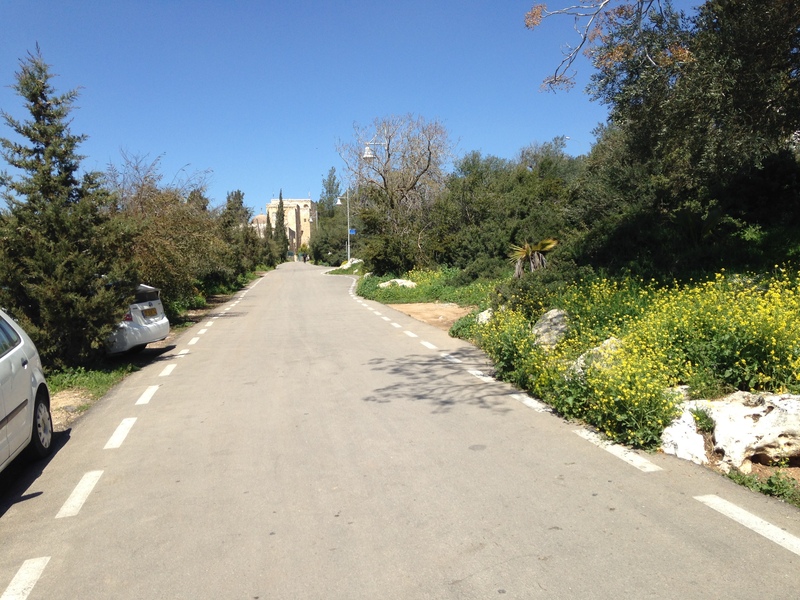 That said, lights here aren’t the greatest for running and Jerusalem drivers are notoriously nutty, so it can be a bit smoother and more relaxing to run on the aforementioned pathways. Go Mollie! We’re cheering for you. This is a huge help! 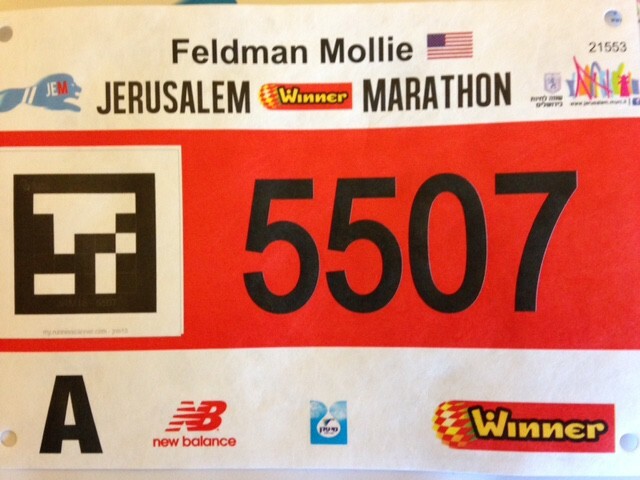 I’m in Jerusalem for a week and need to keep up with marathon training. I’ve been doing my short runs in Gan Sacher, but the hills (to and from the park and in the park) are killing me. This weekend, I need to do 15 miles. Folks tell me the Rekevet is much more flat. True? Is there water along the way? Bathrooms? Can I get a full 10k in if I go there/back? I’m willing to go there/back 2-3 times if it means avoiding major hills on the long run. 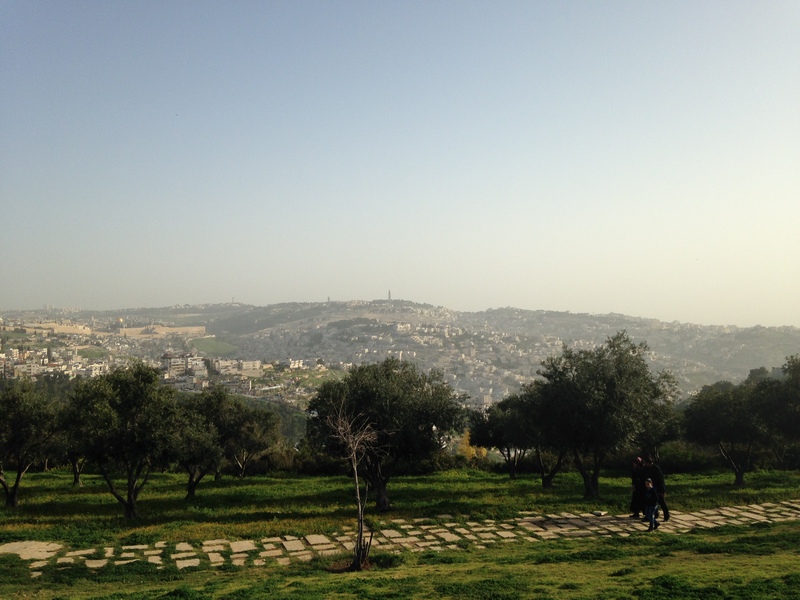 The Rekevet is definitely much more flat that the area in/around Gan Sacher. There are water and bathrooms at the Tahana Rishona (first station) which is near northeast end of the Rekevet pathway. Besides that though, there’s not much in the way of bathrooms/water. If you start on the path near the Tahana Rishona and continue along HaDerech HaRekevet to Pierre Koenig, cross the road, and continue on the rail trail (often called HaMesila Park on maps) you can get a little more than 5k in before the trail stops. That would give you 10k there/back. I think the trail also loops/spurs off in a few spots where you could add some extra distance by following those leads. Good luck!